Yall get them??? Do u leave them to grow, pluck them, shave them, Wax them or Laser them off??? 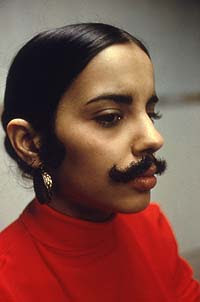 never understood why some women keep their facial hair while walking about making their rounds though. have u seen some women's faces lately??? ON ALLYUH OWN WID DAH ONE DEY......Next chread. what about women wid chest hair.. I saw a woman with that and she aint have no shame casue she had on a kind of top where her chest was out and see that and had double look she had more than me.